First of all, I’m very excited to be having this interview with you and get to know one of my fellow Indie Design Gift-A-Long designers a bit better. So thank you very much for having this interview with me! Would you please tell me (us) a little about yourself? So right! When looking at your portfolio, the emphasis seems to be on lace. 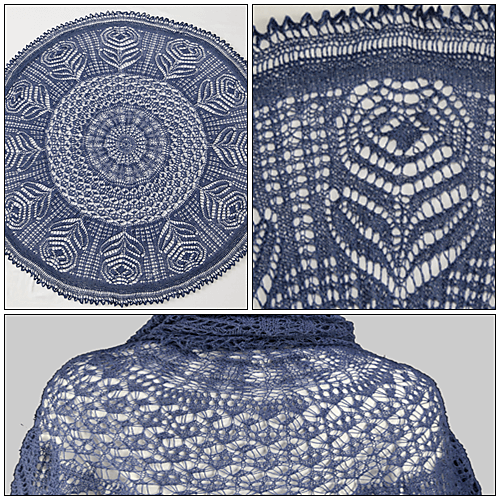 How did you start designing lace shawls and other accessories? 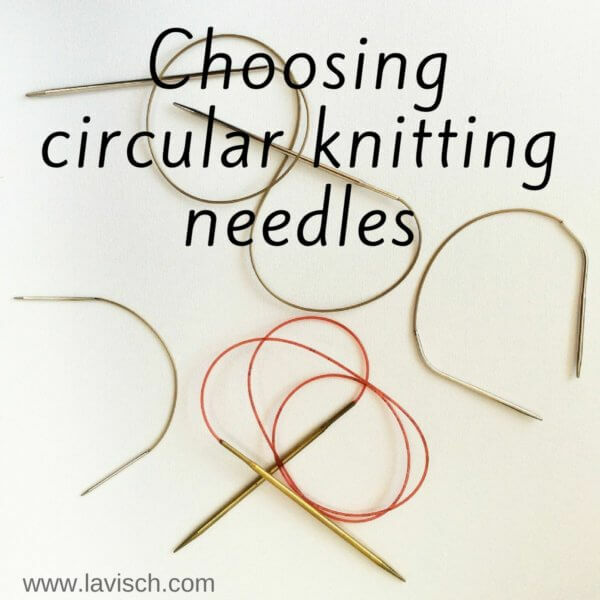 Besides (obviously) lace, what’s your favorite thing to knit? Shawls, hats…? What is your favorite pattern of your own design? And why? I was wondering about the names of your patterns… Could you tell me more about the background of one of those? Okay… In May 2013, my father-in-law died all of a sudden and we took my mother-in-law, Margrit, to live with us because she has Alzheimer’s. She loves to see me knitting, she always says “Tanja, you’re an artist” or “Martin, you married an artist, you know?”. At that time I was knitting a Pi Shawl and she kept telling me how beautiful she thought it was. When it was done, her birthday was just around the corner so I named the shawl Margrit and gave her the sample for her birthday. 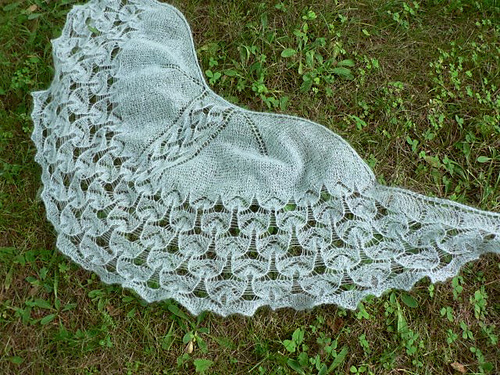 That is such a touching story… And I must say, the Margrit shawl is really gorgeous! 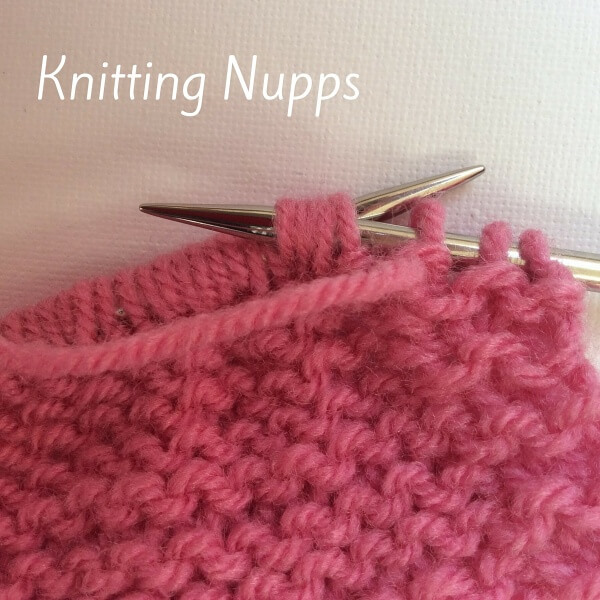 I’m curious, what do you do in your down time besides knitting? What is your taste in books? A true fan! 😉 Are you doing any gift knitting this year? Wow, those are not small projects either! I can see where the wish for longer days comes into play. That makes a big difference! Oh yes 🙂 But the GAL with all its tempting patterns doesn’t really help 🙂 But it’s fun to knit from someone else’s patterns for a while. Pick one of your own designs that you think makes the perfect gift and tell us why you think that. 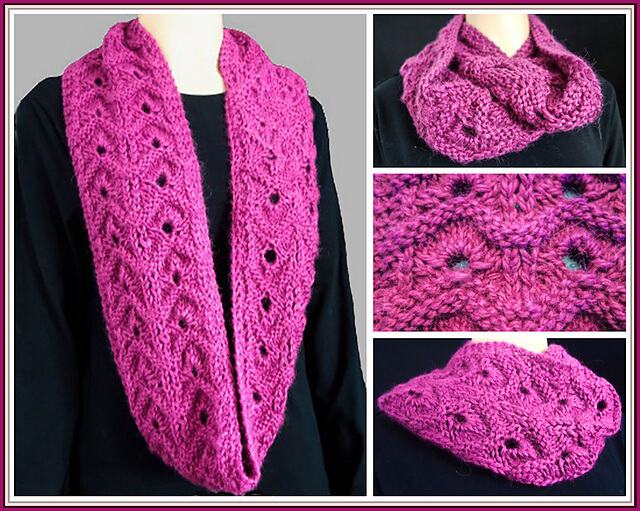 I’d say International Cowl – it’s an interesting Estonian stitch pattern and a quick knit. That is indeed a very lovely pattern. Do you intend to make it a set with (fingerless) mittens and/or a hat in the future? Wonderful and thank you. Have a great evening!